How quickly we forget. How quickly we are to believe our present moment is new, different, incommensurable with the past. This is especially true in our fetishization of new technologies, as even a cursory glance at the recent literature on digital audio will show. MUSIC HAS BECOME DEMATERIALIZED! THE SKY IS FALLING! “But wasn’t radio broadcast the first dematerialization of music?” This question was posed by Francisco López in a recent essay in which he argues that our renewed attention to immateriality will help lead us “back to an ethereal state of listening.” I don’t like the conservative implication of a “going back to,” but certainly there’s something to be gained from problematizing received notions of listening a bit. Radio broadcasting isn’t immaterial of course, nor is streaming or downloading for that matter. You can store a lot of music on a 1 TB harddrive, certainly, but after all it does take up some space. Let’s not forget the servers, the optical wires, the infrastructure, the energy required to power it all. Quite material. In the case of radio, likewise, we have radio stations, equipment, towers, and so on. But the reception, the kind of audience produced, this is something interesting. In 1933, the Italian Futurists rightly perceived the radical potential in the medium, at a time in which the Great Depression had retarded the advancement of recordings as commodities to be bought and sold. Before CDs, cassette tapes, or vinyl, music was not a physical commodity. You either made music yourself, attended a performance, or, in the age of radio, listened to the immaterial broadcast on radio. In the manifesto La Radia the Futurists celebrated the fact that radio broadcasts had done away with the stage, freeing sound from the visual and theatrical associations of performance. This opened the door to the ethereal state that fascinates López, and the aesthetic possibilities of this listening have yet to be fully appreciated or explored. Which brings me to RADIOFONICA. RADIOFONICA is a unique public exhibition exploring various conceptions and implications of Radio Art, produced by the O’ gallery and performance space in Milan, and curated by Alessandro Bosetti and Anna Raimondo in collaboration with Goethe-Institut Mailand. Stemming from a desire to bring together Italian artists, critics, curators, and producers whose work deals with radio in some aspect (documentaries, soundscapes, experimental music, vocal radio fiction), RADIOFONICA will be an opportunity to present research, discuss approaches to aesthetics, analyze problems and possible structural solutions, and importantly to open a space for reflection open to both the public audience and the invited participants. In addition to the sessions with some of Italy’s most innovative sound artists and curators, evening performances will include works by Antonin Artaud, Bill Fontana, Werner Cee, Natascha Sadr Haghighian, Felix Kubin, Alvin Curran, and others. If you happen to be in northern Italy, RADIOFONICA is open to the public November 6/7/8 from 2pm to 10pm, at O’, via Pastrengo 12, Milano. All events are free. 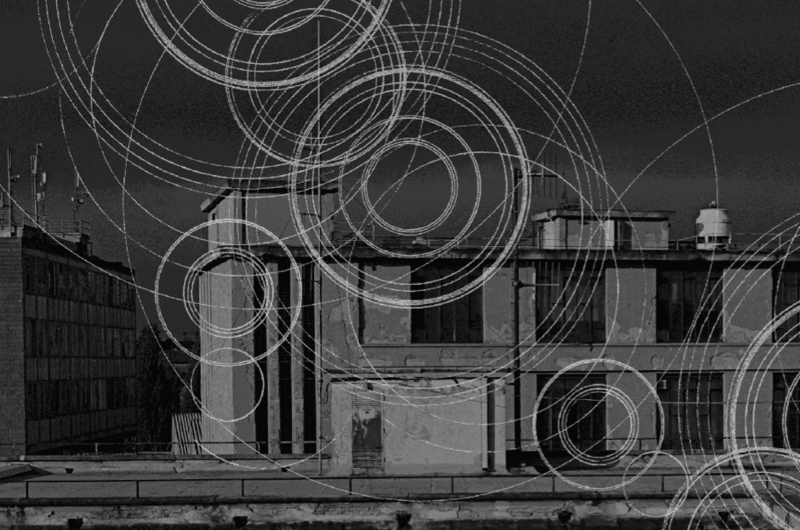 RADIOFONICA is also participating with The Others, housed in a former prison in Torino, November 7/8/9. Friday and Saturday evening they will be connected to O’ via a radio web link, and Sunday, November 9th at 5pm there will be a broadcast presentation of the art work of Alessandro Bosetti and Anna Raimondo. Marcus Gammel (Director of Klangkunst at Deutschlandradio Kultur), Elena Biserna, Stefano Perna, Zimmerfrei, Daria Corrias (via Skype conference), Sara Zambotti and Marcello Anselmo/Audiodoc, Riccardo Fazi, Davide Tidoni, Pinotto Fava, Radio Papesse, Isabella Bordoni, Rodolfo Sacchettini, Attila Faravelli, Blauer Hase/Giulia Morucchio, Irene Revell, Tiziano Bonini, Leandro Pisano, Stefano Giannotti, Laura Malacart (via Skype conference), Lucia Farinati (via Skype conference), Lorenzo Pavolini, Alessandro Bosetti, Anna Raimondo.